Because we are Premium Hokkaido, it can be possible to provide a tour called, ‘Fully Enjoy Autumn in Hokkaido ‘Premiumly! !’’ Please, do not miss this chance to have endless impression of the multicolored autumn leaves which is born from the great nature of Hokkaido!! ☆Destination: Houheikyou dam, Jozankei dam, Shiroi Koibito Park, Former Hokkaido Government Office Building,etc. ☆Travel Insurance: Free treatment up to 1 million JPY. 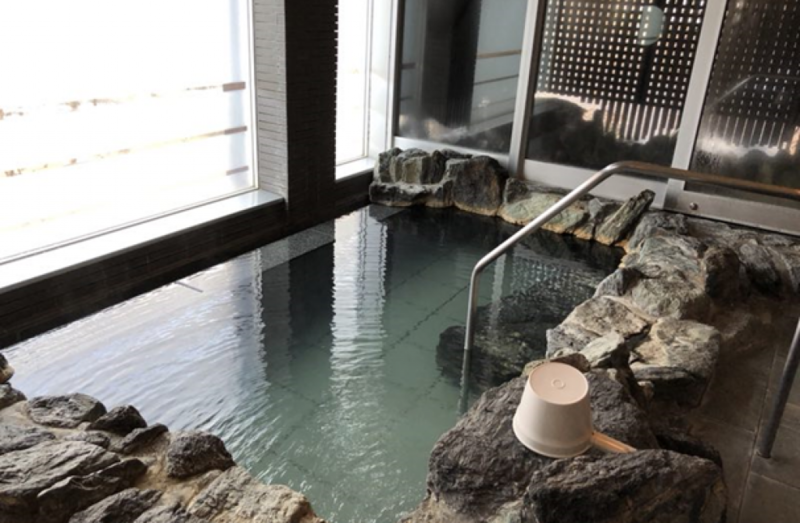 Jozankei is located in Sapporo area so-called, ‘The inner living room of Sapporo’ because of its convenient location to access to the downtown, and refreshing atmosphere with the rich nature. The spring quality is sodium chloride, and it is very outstanding in term of temperature-keeping effect, so the guests can feel warmness inwardly. 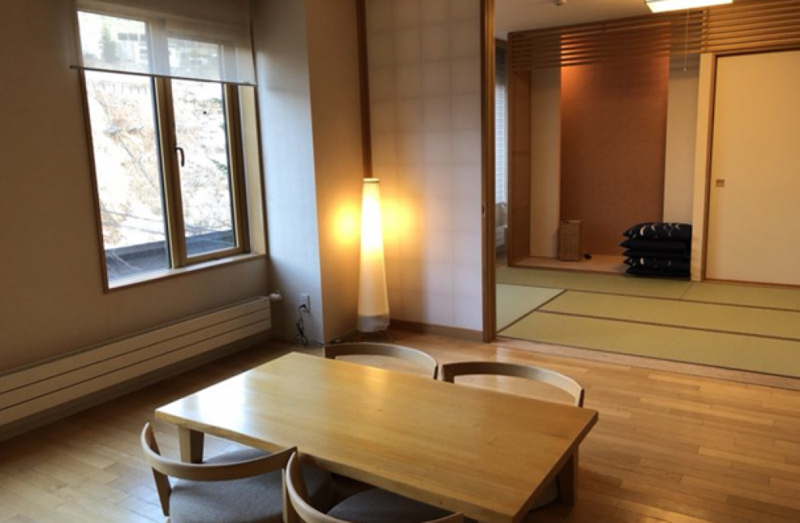 What is more, the guests can see the picturesque view of the harmony combined with autumn foliage and Toyohira River from each room (except some). However, the best thing of all is that this hotel is chartered! 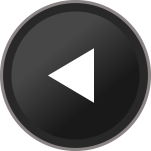 There is nothing to concern of caring other people, and the guests can monopolize all of those premium space and moment!! 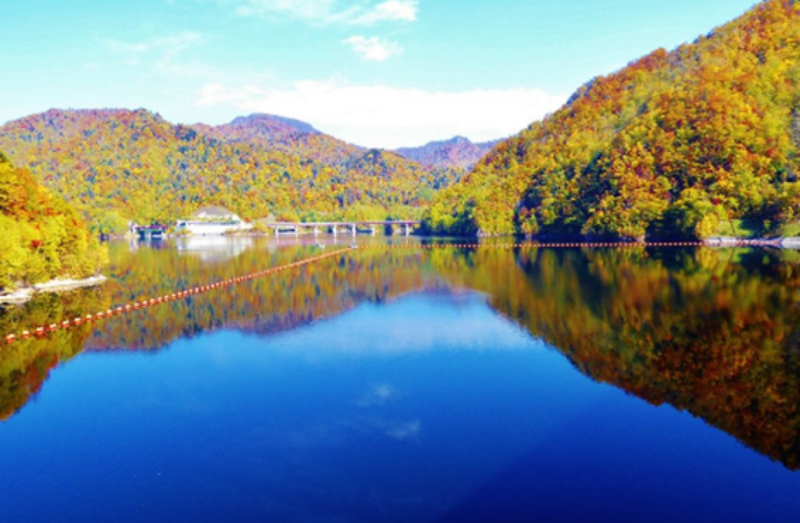 ★This is an autumn leaves festival for yourself!! 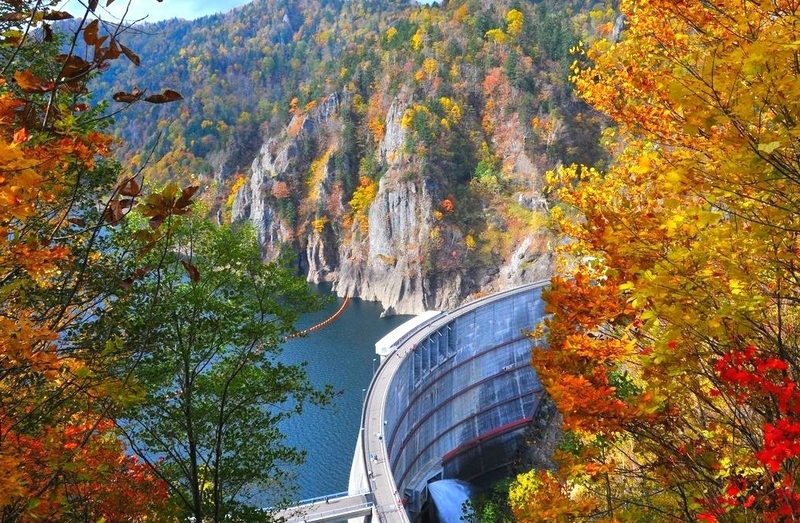 The first destination is ‘Houheikyou Dam,’ and the second is ‘Jozankei Dam.’ They are the most famous spots for seeing autumn leaves in Hokkaido. Afterward, the guests can enjoy watching an amazing view so-called, ‘the seven colors of autumn leaves’ at the top of ‘Asaridake Mountain’ by using a gondola of Sapporo International Ski Resort. ★‘Otaru’ is an indispensable spot for tourists in Hokkaido!! The first spot to visit in Otaru is ‘Yoichi Nikka Whisky.’ The guests can observe the fermentation process of Nikka whisky and sample taste of the whisky. 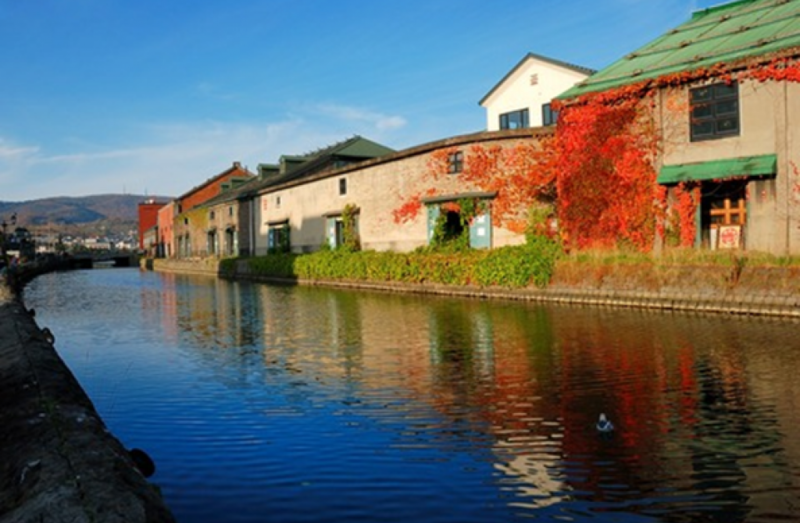 The second is ‘Otaru canal’ which is the representative spot in Otaru. Later, the guests will be fascinated by all sorts of amazingly beautiful and colorful glassworks in `Kitaichi Glass.’ Afterwards, they go to enjoy looking around ‘Sakaimachi Street’ where there are a million of unique stores, such as souvenir shops, specialty shops, retro cafes, grocery stores and etc. 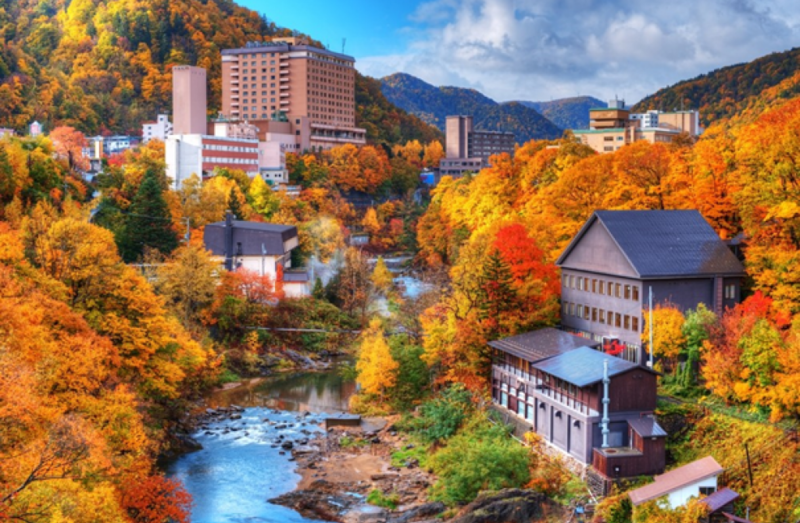 The historic buildings of Otaru will show the perfect artistic harmony combined with autumn leaves!! The distinguished Onsen ryokan, ‘Otaru Kourakuen’ is a Japanese traditional accommodation, and they have a brilliant Japanese-style garden that makes guests feel impressed and comfortable. What is more, each room is set up with a private outdoor hot spring, which means the guests do not need to care of other people while bathing and can be absolutely relaxed. The best thing of all is its dinner! Japanese traditional multiple meals made of the freshest seafood cooked by a chef with his whole heart will be provided. Let`s have full of enjoyment of ‘the time of Japan’ in Otaru Kourakuen!! 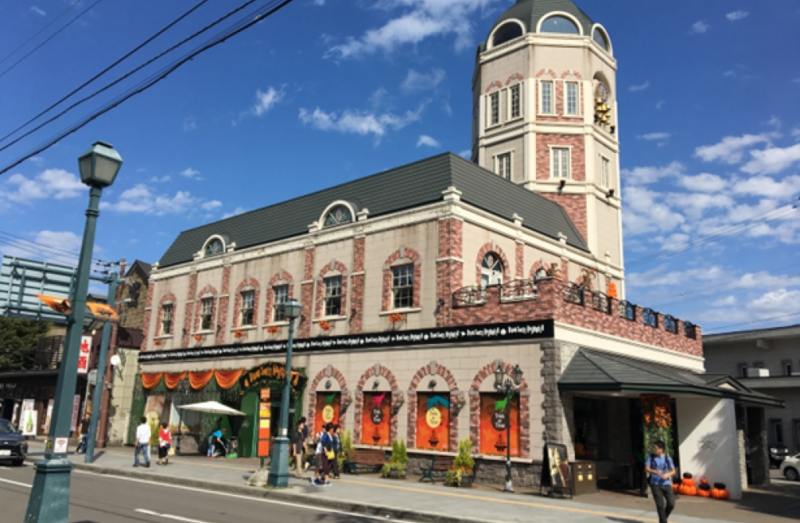 ★Let`s have a fun with the source of culture, it is Sapporo city!! First, the guests go around ‘Shiroikoibito Park’ which is not only popular in Japan but also in foreign countries. 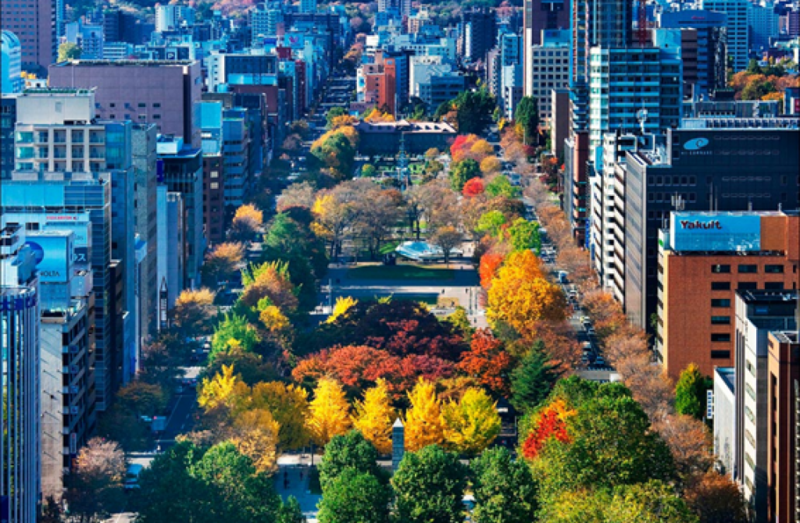 The second destination is ‘Odori Park,’ which is a beautiful sightseeing spot for autumn foliage in the center of the city. Thirdly, the guests go to the symbol of Hokkaido`s history ‘Former Hokkaido Government Office Building’ to see its view of the autumn leaves with the historic building. Finally, they hang around to enjoy shopping at ‘Tanukikouji’ which is very various and unique shopping streets. Obviously, they are all that cannot be missing for traveling Sapporo! Please, see and feel the harmony of the city combined with the nature, people, town, and autumn leaves. 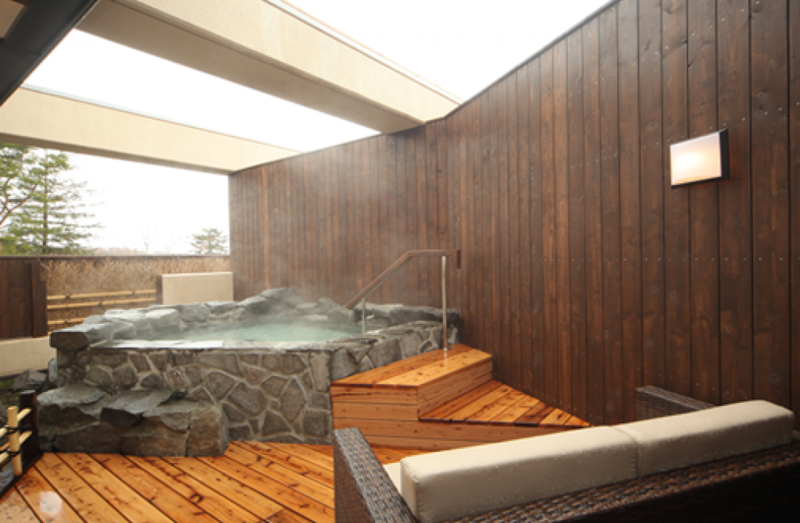 Since it is a 5 star hotel located next to Sapporo station, which is the best location for sightseeing Sapporo city. The room type is ‘Large Premium Twin,’ and the guests can enjoy seeing beautiful and brilliant night views of the city from the windows. Please, enjoy the tour of Sapporo, and be totally relaxed in such a luxurious room until the last moment. This two-floor shopping mall is located in Kitahiroshima city, 23,000㎡ with 128 stores, which is the most spacious shopping mall in Hokkaido. Varieties of unique and attractive stores are assembled in the site embraced by natural view of Hokkaido. 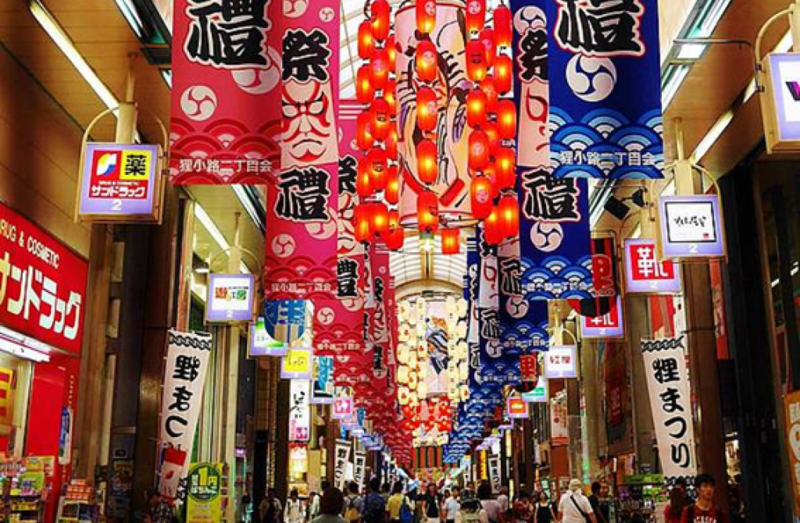 Especially, since the large-scale food court (up to 650 people) and agricultural product direct sales stores reveal full features of Hokkaido, they are beloved by tourists and local residents. What is more, this outlet park has various types of stores, such as international luxury brands, popular clothes of overseas and domestic markets, children clothes, leisure wears, sport wears, trendy lifestyle products, etc. Please do not miss the last chance to buy what you want before leaving Hokkaido! Go back to your warm home.